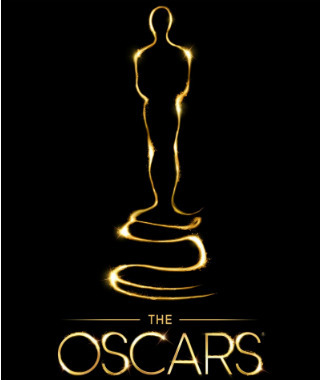 2013 Oscars Predictions: Who the heck knows? Wrapping up the individual category breakdown, this is the last batch of movies that seem the most up in the air. For the other categories, click the “Oscars” tag on this post to see all posts on the topic (both this week and all time). Documentary: Guys, this is hard. I mean, not just hard to predict who might win, but hard to even write about because The Act of Killing was my number one film of last year, and it looks like it might be upstaged by my #6 film of the year, 20 Feet from Stardom. And that’s not to mention the third major contender, The Square, which has had a last-minute surge (as more people have had a chance to see it) and which reverberates strongly with the events in Kiev and other revolutions in the two years since the one in the film. Today, we break down the next level of random categories that I’m a little less sure of than yesterday’s batch, about which in turn I was less sure of than Tuesday’s. I’m saving Best Picture for tomorrow, though, so you still have something to read for. Foreign Film: I’ve only seen two of these nominees, but they were both really good, which beats the average from last year (Kon-Tiki, I’m looking at you). Today we move into categories that are more up for grabs than yesterday’s locks. As it happens, today involves a lot of bitterness. I’m a happy member of the camp that espouses “It’s only a snub if you can say what should have gotten left out,” but I don’t even care what you would have to leave out to include two of today’s nominees. We made it! After an estimated 37,000 hours of Oscar chatter in the last few months, we are down to the Week Before the Ceremony, when everyone gets really serious and determinedly sets their predictions, which will be wrong. Note: This Week in the Box is a year-long series where Sam works through the entire Warner Brothers 50 Film Collection box set. To find reviews of the other films in the series and see the complete list, click here. I don’t know if it’s because I wasn’t buying into the story, but I was shocked when I learned that Mrs. Miniver is in the extremely exclusive club of having had a whopping five actors nominated for Academy Awards. Now, basic math indicates that since there are only four acting categories (Actor, Actress, Supporting Actor, Supporting Actress), that means Miniver got nominations in all of them and two nominations in one. There are only three other films in the history of the Oscars to achieve that (From Here to Eternity, Bonnie and Clyde, and Network), so Mrs. Miniver is in rarefied air indeed. Just one episode of season two left. Despite liking season 1 the best of all three seasons of Veronica Mars, I think the writers might have done a better job of sneaking in bits of the season-long arcs in season 2. I’ve had a constant sense of dread while watching the past few episodes and it’s all because I know how it ends. Fortunately, the first few of this week’s episodes are lighter on the arc. While they are planning to cast a child to play Bruce Wayne, the series will be focusing on the origin story of Commissioner Gordon back when he was a rookie detective. Gordon will be played by Ben McKenzie. While many people may remember him from his time on The OC, it’s his most recent role that has me excited for this bit of casting news. For five seasons, he played a cop on the excellently gritty police drama Southland. Ben McKenzie knows how to play a cop.